The district Chhatarpur was previously under the then Vindhya Pradesh. 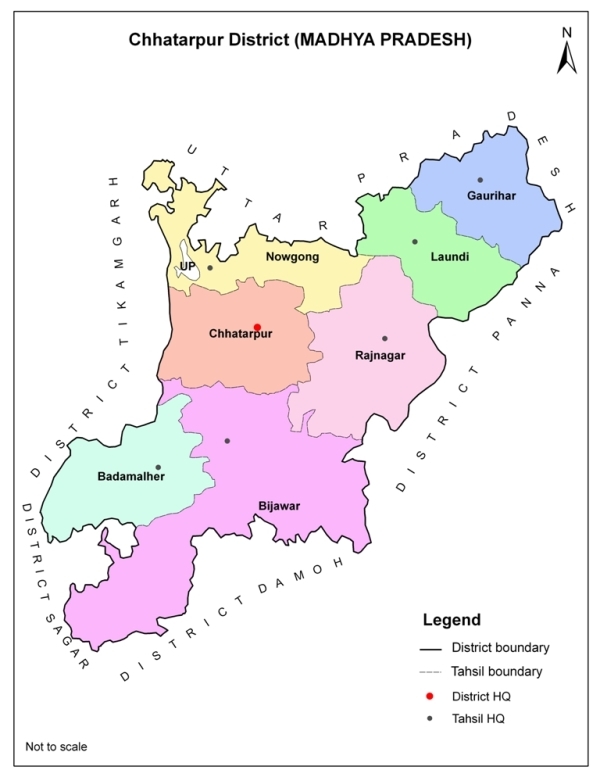 This district is spread over an area of 8687 sq.km with longitudes and latitudes of 24 degree 6 minutes and 25 degree 20 minutes on north and 78 degree 59 minutes and 80 degree 26 minutes on east respectively. As per 2011 census, the total population was 17,62,857. The district has been divided in to 11 tehsils, 15 urban bodies, 8 CD blocks and 588 gram panchayat.